Many of you already know the prayer to Saint Michael, the Archangel. But, did you know there are specific prayers for the other two archangels, as well? Today, as we honor the feast of the Saints Michael, Gabriel and Raphael, Archangels, we offer you prayers suitable for all the Archangels. Saint Michael: We see Saint Michael referred to in Scripture in four places: in Daniel 12:13 and 12:1, where he is a guardian of Israel; in Jude 9, where he argues with the devil about Moses’ body, and in Revelation 12:7-9, where he ousts Satan from heaven. This prayer was composed in the late 1880’s by Pope Leo XIII after a vision of the spiritual evil Satan would visit on the world in the 20th century. Saint Gabriel: In two places of scripture, we see St. Gabriel making announcement: to Zechariah of the future birth of John the Baptist (Luke 1:19), to the Blessed Virgin Mary of Christ’s Incarnation (in Luke 1:26-37). Saint Gabriel, the Archangel, We humbly ask you to intercede for us at the throne of divine mercy. As you announced the mystery of the Incarnation to the Blessed Virgin Mary, so through your prayers may we receive strength of faith and courage of spirit, and thus find favor with God and redemption through Christ Our Lord. May we sing the praise of God our Savior with the angels and saints in heaven forever and ever. Amen. Saint Raphael: Throughout much of the book of Tobit, we read of St. Raphael, guiding the traveler Tobiah and instructing him in healing. 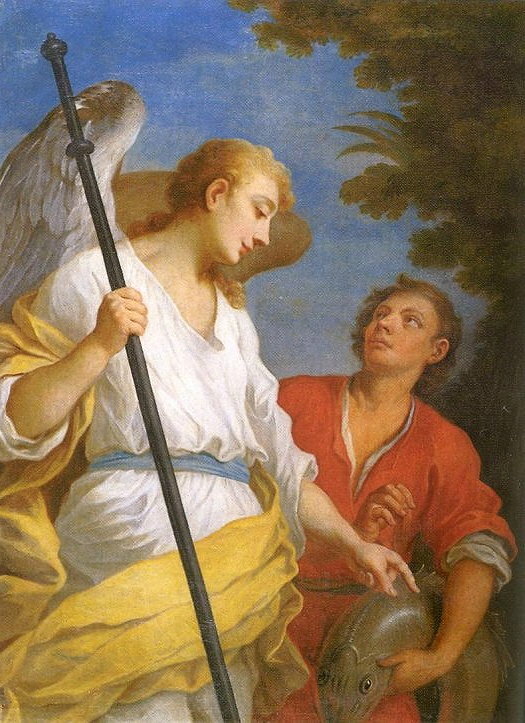 Saint Raphael, the Archangel, Help us in all the needs and trials and the journey of this earthly life, as you, through the power of God, didst restore sight and gave guidance to young Tobit. 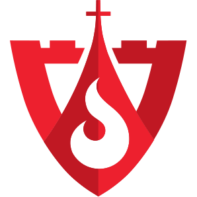 We humbly seek your aid and intercession, that our souls may be healed, our bodies protected from all ills, and that through divine grace we may become fit to dwell in the eternal Glory of God in heaven. Amen. Art for this post on the feast of the archangels: Visit in the Annunciation Cathedral of the Melkite Patriarch of Jerusalem (Archangels), Yoav Dothan, 13 February 2009 own work, PD-Worldwide; Saint Michael Archangel, Höllensturz; Altarbild von Johann Michael Rottmayr, 1697, Schlosskapelle St. Michael (Tittmoning), PD-US; S. Gabriele Arcangelo, José Camarón Bononat, 18th century, CC-PD-US; Mirror of Tobias and the Angel, Szymon Czechowicz, 1740s, PD-US copyright expired; all Wikimedia Commons. PrevPreviousCan I Trust Father Thomas Keating?